Our More Than A Smile orthodontists are Damon System Certified. 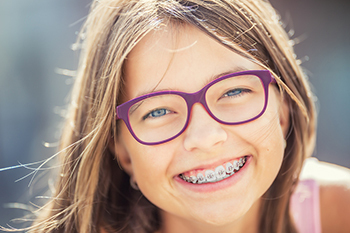 This means our patients with braces in Williamsville, NY, Orchard Park, NY and Elma, NY, have access to the many advantages of this revolutionary orthodontic technology. If you are looking for a quality braces system that can drastically speed up your overall treatment time, then ask us about Damon braces at your free More Than A Smile Orthodontic Assessment. The Damon System is not just about a new kind of braces and wires – it is a whole new way of treating patients. Damon braces are “self-ligating,” which means the archwire is held in place by the brackets – eliminating the need for elastic ties. This advanced treatment option has been clinically proven reduce the average treatment time by about four to six months quicker than conventional braces. You’ll achieve your bright new smile – faster! The special “memory” technology incorporated into the Damon wires straightens teeth more efficiently, which translates into longer intervals between orthodontic appointments. This means less time away from school or work for patients and their parents. Damon’s patented system allows minimal friction in between the wire and the bracket slot. This less invasive procedure means that there is less force applied to tooth movement, so that patients don’t experience the discomfort that comes the ongoing tightening of traditional braces. In addition, because the brackets do not require rubber bands, Damon braces are also much easier to keep clean than regular braces. Achieving your new smile with the Damon approach relies on patented technology designed to improve the overall facial result of each patient. Your teeth will be aligned and straightened with the highest precision and efficiency possible – without the tooth extractions or palate expanders sometimes required with traditional treatment. Schedule Your Free, No-Obligation Smile Assessment for Damon Braces in Williamsville, NY, Orchard Park, NY, or Elma, NY, Today! Want to learn more about how Damon braces in Williamsville, NY, Orchard Park and Elma, NY, might be your best orthodontic treatment option? Call 716.633.4747 or click here to use our convenient online appointment request form. We look forward to hearing from you! Come experience More Than a Smile Orthodontics! You will quickly discover that we offer state-of-the-art Damon braces in Williamsville, NY, Orchard Park, NY, Elma, NY, Amherst, NY, Clarence, NY, Tonawanda, NY, Hamburg, NY, East Aurora, NY, Lancaster, NY, Buffalo, NY and West Seneca, NY – and we do it with a smile. We’re ready to help you achieve a healthy smile in less time!